Monkfish is the English name of several types of anglerfish. The name is also often used for an European sea monster, which is also called a sea monk. We have two types of monkfish available. The first one is the Lophius piscatorius, which is also known as the angler. The second one is the Lophius litulon. The Lophius piscatorius is often found in coastal waters of the northeast Atlantic, which is also known as FAO fishing area 27. You can also find them in the Mediterranean Sea, the Black Sea and from the Barents Sea to the Strait of Gibraltar. The Lophius litulon can be found in the Pacific Ocean however, which is also known as FAO fishing area 67. You can find them in the Sea of Japan and the Sea of Okhotsk too. Despite the fact that we catch the angler ourselves, we have to import our Lophius Litulon from China since this fish lives quite far away from our company. When the monkfish is caught the head is immediately removed. We also remove the belly and freeze the fish before we bring it onshore. As a supplier we sell our monkfish tails skin on and belly off. 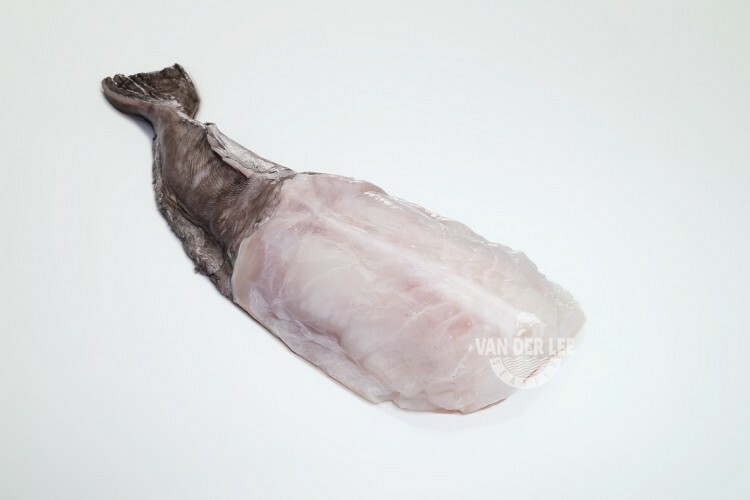 We also have monkfish fillets available at our ‘Fish Worldwide’-page. Despite the fact that monkfish do not look that nice, they actually taste really delicious. Monkfish tails have a dense, mild and sweet flavour. The tails are very similar to the lobster tail in both flavour and texture. Like many fish, the monkfish is an excellent source of protein. Thereby, they are also low in calories since one hundred grams of them only contain around 96 calories. Monkfish tails contain vitamin B6 and B12 too, which are important for the metabolism of cells. They also contain a bit of sodium and cholesterol. We mainly export our monkfish tails to wholesalers in England, Germany and Spain and Italy. But nevertheless monkfish can be found in a lot of countries. Monkfish liver is for example quite popular in the Japanese cuisine. In Japan they call the monkfish ‘ankimo’ and they use it for sashimi, which is a Japanese delicacy made of raw meat or fish sliced into thin pieces. Monkfish tails are most of the times used as a main dish. Some people like to stuff the monkfish tails with garlic, saffron, lemon and sun-dried tomatoes. They are also often served with vegetables, such as green beans and potatoes.